If you think about what inspired you to start blogging, the clear answer for most pet bloggers would likely be their pets. And that’s no different for me. My cats inspired me to start Three Chatty Cats a little over two years ago. 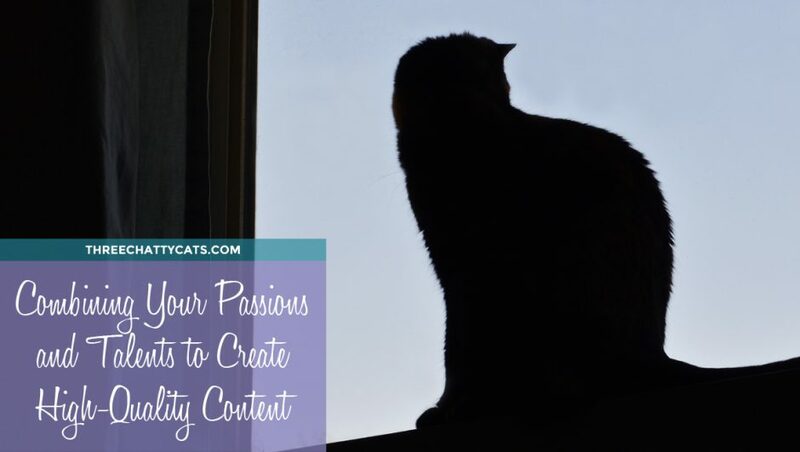 While my core passions lit the internal spark to create a blog, it’s really my interests, skills and innate talents combined with those passions that truly allow me to create high-quality content for Three Chatty Cats. If you look at your own blogging journey, perhaps you’ll find it’s the same for you. Let’s take a look at passions first, since that’s what usually drives a blogger to start in the first place. My passions are writing, photography and cats. Dexter, Olive and Sophie – the Three Chatty Cats! As far back as I can remember (which pretty much gets me to elementary school), I’ve always been a writer and storyteller. In fact, my bachelor’s degree is in film, emphasis screenwriting (super useful, amiright?). Since I’ve graduated, I’ve continued to write in some form or another. My first job was in a creative marketing department where I wrote newsletters, drafted articles for magazines and created copy for flyers and brochures. All of this history and background in writing has provided me with writing skills that I use on my blog today. Much like writing, my fondness for photography has been with me for quite some time. And like writing, I’ve gained photography skills throughout various avenues in my life. In high school, I was on the yearbook staff as the photography editor. This was my first official experience with using a “real” camera and learning how to compose a shot. Fun tidbit: This was back in the day when we had to develop the film ourselves in a darkroom. It’s a skill I don’t use on the blog, but an interesting experience nonetheless. It’s clear that I have a passion for anything cat-related. I’ve even adopted two new cats since starting Three Chatty Cats (Woodrow and Harley are offended that it hasn’t been re-branded to Five Chatty Cats). 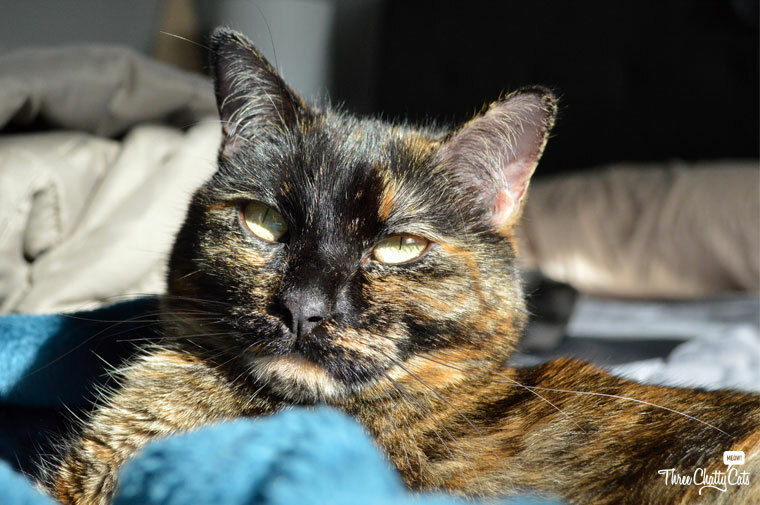 Not only do my cats fill me with love and provide comfort, they also inspire me to create stories through their adorableness, silly antics and general feline awesomeness. So, we’ve looked at the passions that inspired me to start blogging. But what allows me to create high-quality content on a consistent basis? When I delved deeper and did a bit of self-reflection (how introspective of me), I realized the answer was my interests, skills and innate talents. For me, what it boils down to is that I need to use what I have at my disposal and what I have a natural affinity for to be consistent in producing high-quality content. I’m sure you’ve heard it before: “Organization is the key to success.” And whether or not you believe that, it certainly applies to me in all facets of my life—work, home and yes, blogging! I’m a spreadsheet aficionado (raise your paw if you are, too). I create spreadsheets for everything. Perhaps too many spreadsheets (ha, as if that could be a thing). Organization extends to more than just spreadsheets, though. It could be planning ahead, outlining, even just properly named files and folders on your computer. And while organization might not directly affect creating high-quality content, being organized helps keep my mind in order, which better prepares me to create that content. I even organize my cats in baskets. What do I mean by that? Branding! Or, the brand. Yes, my blog is a brand. Remember that marketing job I mentioned? 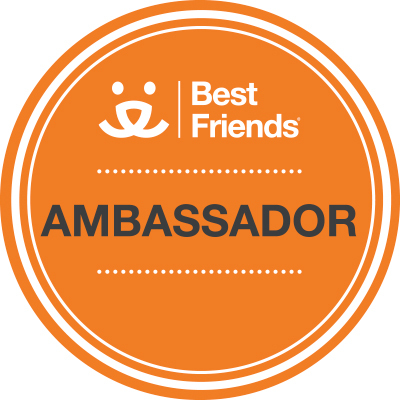 Well, in that role, I was selected to be part of a global re-branding team where I helped launch a new brand. I learned that a brand is more than just a logo, tagline and some colors. For my blog, that means my brand should have a consistent voice, tone and messaging throughout all potential reader touchpoints (think Facebook, Instagram, interactions with readers, engagement, how one works with brands, etc.). When I keep this in mind, it helps me say, yes, I’ll include this in a post—or no, that doesn’t fit my brand at all. This kind of relates to my background in marketing and branding. When I evaluate something, I’m immediately drawn to whether or not it’s pleasing to the eye. I feel like I have a natural desire to want to see high quality. Or, is it my marketer/graphic designer/artist husband always driving this point home? (We’re just two peas in a quality-driven pod). Naturally, I’ve applied this “desire to see high quality” to my blog in all aspects, including writing, photos, layout, general flow, etc. It’s important to note, though, that high quality doesn’t equate with perfection. For example, I’ve used less-than-stellar photos because of the reaction they may elicit or the story they tell. These recent Wordless Wednesday photos are slightly blurry, but the series of expressions captured was too good not to share. At heart, am I a researcher? In most aspects of my life, nope. But if I find a weird bump or mark on my cat, you can bet that I call up the ol’ Google and research it like crazy (and if needed, head to the dreaded V-E-T). Researching certainly comes in handy for blogging, too. For posts where outside knowledge or statistics are required, it’s a must. For example, I don’t support declawing cats at all. But to just state that in a post is one thing. 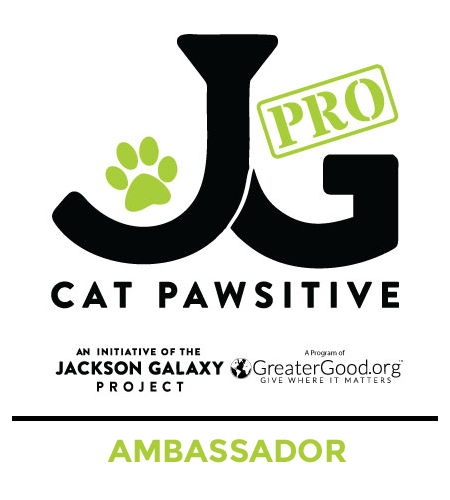 To present supporting research of why it’s harmful to a cat helps drive the point home of why declawing shouldn’t be supported or practiced. 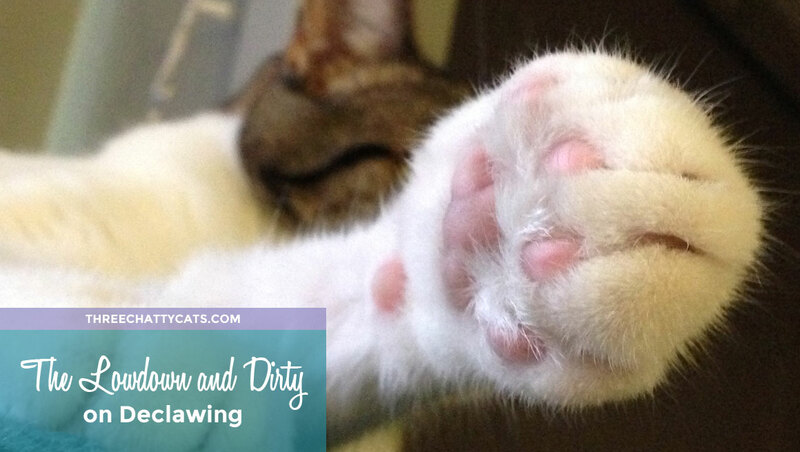 A research-heavy post on why declawing is bad for cats. Personally, I laugh easily and gravitate toward humor whenever possible. I’ve always wanted Three Chatty Cats to be lighthearted and fun, but I’ve recently tried my hand at incorporating more humor into my posts. Besides adorably, sickeningly sweet photos of cats—humor is an easy way to connect with readers. Of course, humor is subjective, but cats and comedy go hand-in-hand. And humor is definitely a useful tool in my proverbial blogging belt. Sophie takes her humor seriously. What talents, interests and skills do you use for blogging? Forget your passions. Well, don’t really forget them. But let’s not focus on those right now. 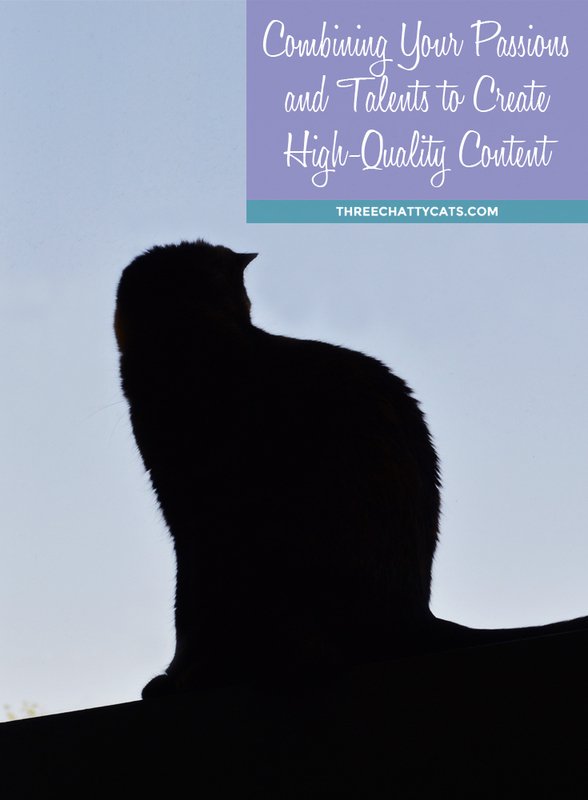 What tools do you use that allow you to create consistent high-quality content for your blog? Is it humor? Stunning graphics? Video editing skills? A desire to continue learning and then educate your readers? Maybe you’re a master with flowcharts and outlines. I’d be remiss if I didn’t touch on staying motivated in regard to blogging. For me, keeping motivated resulted in an evolution of my blog. 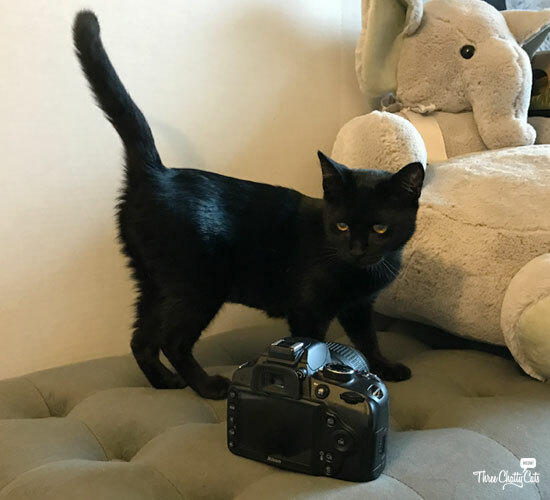 When I first started Three Chatty Cats, I quickly gravitated toward highlighting rescue groups, foster parents, and anyone doing their part to help cats, which in a sense labeled Three Chatty Cats as a cause blog. But finding rescue groups and new people to feature…and then relying on them to respond and send in photos…and then writing and editing everything for three posts a week…well, it was tiring! Blogging fatigue quickly set in. Woodrow perfects the “blogging fatigue” face. So, that’s when I started incorporating posts about my own cats more, and even started writing in their voices sometimes. Ultimately, I found my focus shifting toward my original inspiration—my own cats. I felt a renewed sense of energy about storytelling (having switched hats from reporter to author) and realized it’s okay to shift focus. And while I still find cause-related topics to write about, that doesn’t need to be the central point of my blog. And as an added bonus, I had readers comment that variety is a good thing. Apparently, bombarding readers with the same topic over and over and over and (you get the idea!) can be tiring for them as well. No more fatigue. Happy once again. It’s Time for a Recap! Passions—good. Interests, skills and talents—required. Essentially, I view my blog as an amalgamation—or a funnel, if you will—of what may seem like disparate pieces of my life coming together. 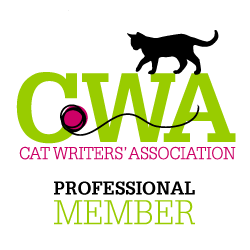 My passions—writing, photography and cats—were the impetus to start my blog. 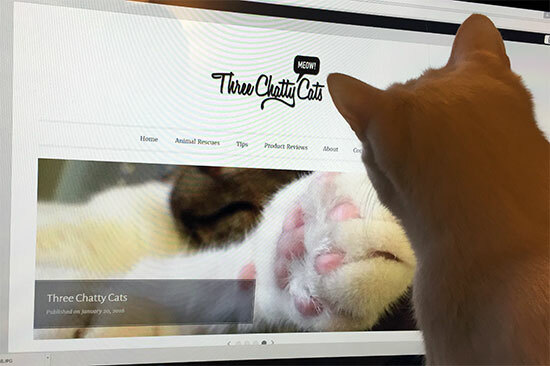 But my interests, skills and innate talents allow me to stay inspired to continue to produce high-quality content for this creative project known as Three Chatty Cats. 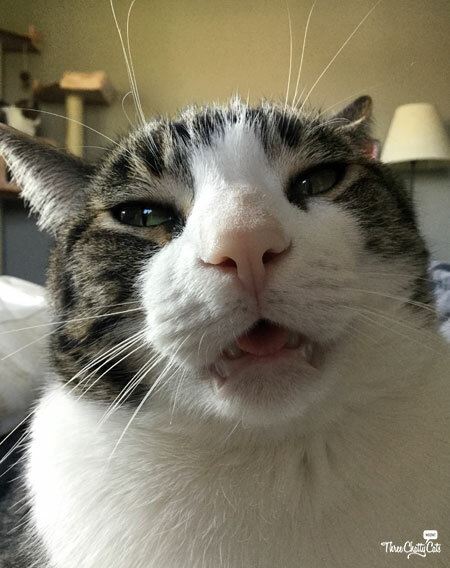 And through that content, I hope readers feel a connection with my cats – through times of laughter or aww-induced moments of gushing. And if readers do feel that connection, then I’ve done my job as a blogger. Everyone has their own story about how they arrived at blogging and what inspires them to keep going. This has been my story. What’s yours? What are your passions? What are your skills and talents? What is your inspiration? Let me guess, does it involve a cat or two? 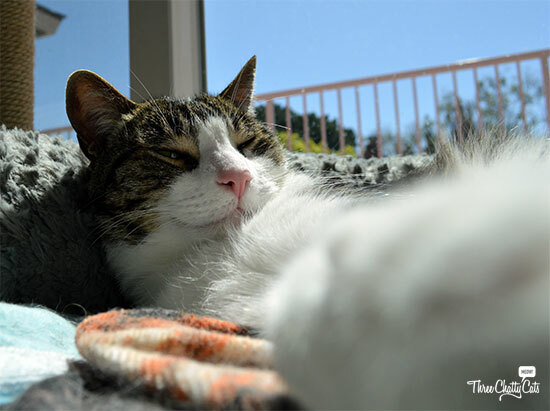 Previous Chatty Cats: Nip Nanners, Batman and More! Next Chatty Cats: Cuddles, Boops and More! That is a great way to look at blogging. I do it just for the fun of it since I have so many cats and they all have a story. I really just like seeing everyone’s cats etc. Have a great day. Our cats really do have their own stories, don’t they! You are so talented and we always enjoy your blog posts! We’re like Marg, we just do it for fun too. We love visiting your blog, and you have inspired us in many ways! This is such a great post! 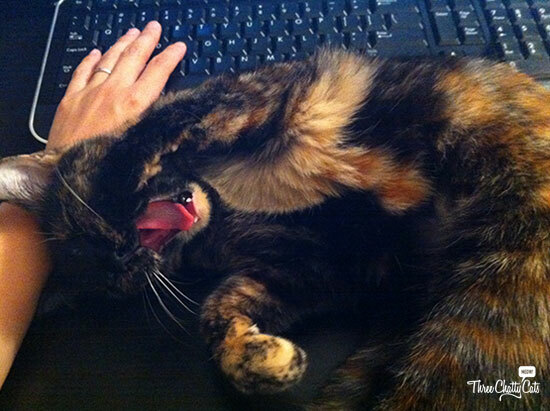 Our secretary is NOT as organized as you, and she thinks you should lead a workshop at BlogPaws! Oh, well your secretary is too kind! We love your blog, too, and find inspiration from you as well! At the beginning of my blog there was the idea to create lampshades! And explained everything around them! Lampshades? That’s a unique idea! :-) I think a diary is a great way to see it. I’m glad you stopped by as well and that we also found your blog. Your adventures and mysteries keep us wanting more! The cats are the story; I just write it down, and nap some images that back it up! And I try to keep it light, and not too wordy. I am in the process of having a blog logo created; then I feel I can move further into my role as cat blogger. Well, you write their story well and I always love reading your posts. Can’t wait to see your blog logo!! 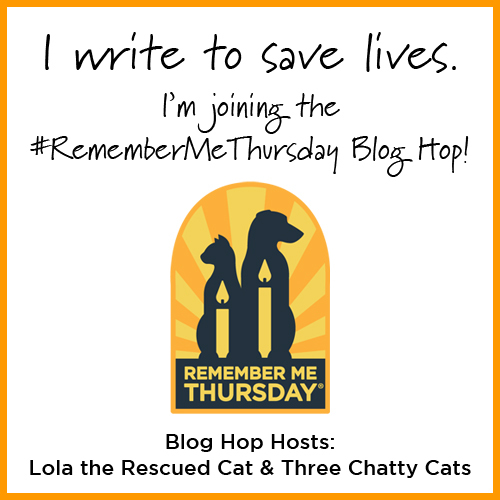 I always thought you create stellar content, whether they’re rescue stories or your current cat tidbits about the Three chatty Cat’s lives. Actually I’m really loving their retorts and chirps! I’m not organized not one bit. I’m a clean freak but not a neat freak and I wish I was more organized with spreadsheets. Thank you for the very kind words. The Chirpies are one of the VERY first blogs I found and I am so happy I did! And you could’ve fooled me about being organized. I guess your talents just take over and you produce beautiful content every time. Olive says hi to Scout! Excellent tips and advice. We’ve always enjoyed your blog. Your writing and photos are top notch! Thank you! We love visiting Wally, Ernie and Zoey and reading about their daily lives, too! Great post per usual. TW always loved to write but through my blog she’s learned Photoshop and how to be a better photographer. The humor and my voice has always been there. Thanks CK! I’d say that TW’s Photoshop skills are top notch and you have beautiful graphics on the blog! And no matter who your typist is, your humor and voice always shine through. Fantastic post! Your blog is one of our favorites to visit. You are incredibly talented! 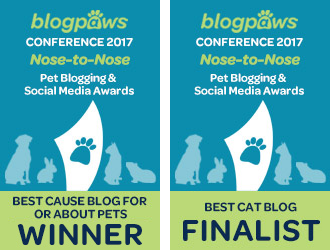 I think success comes when you’re truly passionate about your topic, and it’s not hard to be passionate about our feline friends! Thanks Melissa! I love visiting your blog, as you have such a great mix of content. I don’t know how you are able to publish daily with such great content each time! I guess it’s because you’re passionate about Mudpie and everything cat lady! Your story really is similar in many ways to my human’s, as far as her approach to blogging. She was a writer and photographer before regular people were even using the internet. I’ve found the skills she picked up early on to be very helpful – I’m sure your cats feel the same way! Thanks for stopping by Summer! Your human clearly has a lot of talents to offer up for your blog. And it definitely shows! Excellent post, I am glad you started blogging. Thanks Ellen. You have been one of the MOST supportive bloggers and I truly appreciate it. And I also love visiting the kitties on your blog (and Gremmie, too!). Talk about commitment – I don’t think anyone can top you and your commitment to the PAWS cats! Love hearing your story Rachel! ❤️ And yes, spreadsheets are my jam too! Lol. I’m glad you found it helpful. I really hope your decision is not to stop. Your blog would be missed in the blogging community. But I understand that everyone needs to do what is best for them, whether it’s a re-design, a break or to stop altogether. Hugs to you, Savvy and TKS! 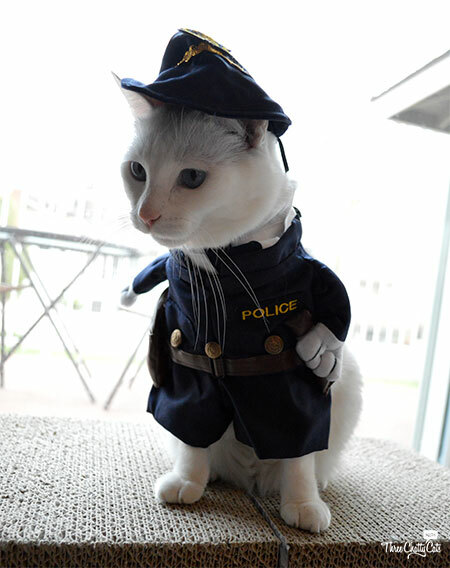 You always have purr-fessional looking photos on your bloggie and high quality content. Mom originally wanted to start a bloggie about historic interiors, but ultimately decided to make the bloggie about her passion – me. Tee hee hee. Mom doesn’t work with spreadsheets, but she makes lists all the time to help her keep somewhat organized. Thank you, Binky! I lucked out capturing those photos of Sophie and Dexter. Well we totally think you have a wonderful, well-organized, interesting and FUN blog and enjoy visiting and having YOU visit us as well. Our blog is all about fun. I know it could be improved in many ways but at my age I’m inclined to just focus on fun and forget about reorganizing! Whatever it is that you do, keep doing it because for you it definitely WORKS. We love you! Thanks Pam and Teddy! The fun definitely shines through on your blog! It was one of the very first I found when I started, and I’m so glad I did. I was the high school yearbook photo editor too – I never thought the smell of developing chemicals would leave my skin! My blog is new, but reflects my past as an educator, always trying to provide helpful information in a way that people can relate to (and improve their lives with their dogs)…I’ll certainly need to take on some of your spreadsheet passion and get myself a good editorial calendar going :-) Thank you for the inspiration! I love that you point out how you provide helpful info in a way that people can relate to. That’s definitely key! Haha, and agreed about those developing chemicals! I can still smell them now. It is easier for me to put things in writing than talk about them so that is what got me going with my blog, by sharing my Domestic Violence escape with Baby and then Layla’s life with me is what keeps me going in so many ways. I know what you mean, writing can definitely be easier than talking sometimes. I’m glad that writing and blogging help to keep you going. Hugs to you and Layla! I loved this post and it came at the perfect time for me. My passion for senior dogs inspired my website, and my dearly beloved dog Red (who I had to say goodbye to recently) was my muse. I’m the worst photographer but I bought a camera and took a basic course to gain some skills, so there has been some improvement. At least now I don’t put the camera down before the actual picture has been taken!! I like how you touched on other aspects that contribute to success including organisation and variety. Thanks again!! That’s funny about the camera…Yes, the DSLR isn’t as quick as my smartphone, so I would move it sometimes before it finished in the beginning, too! I’m sorry to hear about Red. We have a senior dog – our first pet, actually! He’s seen five cats enter his domain now, and he’s very good with them. I’m always better at writing than speaking. Your insights into blogging are so true! And you have so much talent to back up the passion! I admire you to no end. I find that writing can be easier than speaking, too. I’m so awkward in person sometimes. Hehe. Thank you for the very kind words. Your writing, humor and amazing storytelling skills shine through on your blog, which allows me to feel like I know Bear and Ellie personally. I love the photos on this post… they show your love of cats but also make ME (even me, a dog) appreciate cats more…. Or maybe your guys are just really cute…? Can you imagine blogging with film cameras? It would take so long! Improving my photography skills is a goal of mine this year. Haha, that would be something, wouldn’t it?!? All that you have written I strive for but it has taken me some time. When I started blogging I had no idea all the technical stuff that went with it. I still struggle with and am working on that aspect DAILY! I agree about not declawing cats! TOTALLY against that! I also tend to use way too many exclamation points!!!! MOL!!!!!!! Anywayyyyyy….. such a great post. I am working on my brand – constantly and recently rebranded. Want to collaborate on e a screenplay? I wish I had the knowledge to do that as I am constantly writing movie scripts in my head. I also lean toward humor in my articles. My photog skills have become a LOT better but still need work. Only so much I can do with a phone camera but I have learned a lot about lighting, positioning, etc. Such a great post and it really made me think about many things. Congrats on your two-month-old blog! 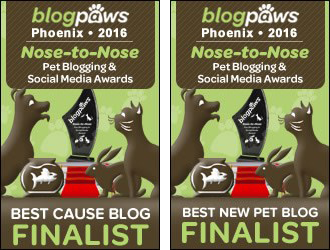 Aren’t you glad you found BlogPaws early on? I was told about it right in the beginning and found so many helpful and inspiring bloggers that way. I’m sure my blogging journey would’ve been very different without those bloggers. I look forward to reading your posts. Happy to meet another fellow cat blogger. Even dog lovers enjoy your blog! I love the photos and the stories. What I think is important is that not everyone moves at top speed and it takes them time to get where they are going. 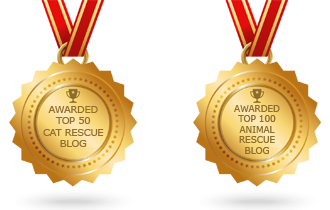 Inspiring worldwide pet blogs are on the rise and this is something the USA needs to remember. The quality and commitment are there and I can’t wait for more blogs in Europe to reach big numbers. Agreed…I know I’m still on my journey of where my blog is going. And that journey will never stop. I read blogs from all over the world. I feel that my message can apply to anyone worldwide and hope it was received that way by most. You certainly found the sweet spot combining your talents. It is always important to try and contribute something useful, beautiful or entertaining. Or any combination of those. I began blogging as an outlet to a very stressful job. It became a daily journal of my cat. This summer will be 10 years since I began blogging and I am seeing my focus changing, especially since I’ve retired. My background was mathematics, music, and research. None of these really led to rebranding my blog, except for the research. I’m working on the photography and writing aspect. i remember developing film too. kinda miss it… something about not knowing what you’d get was more fun than not knowing what you’re going to get from some app filter or software tweak.